Phi Sigma Phi was established in South Bend, Indiana in 1988. It is a US national fraternity that has 11 chapters all over the world. The fraternity experienced the certain difficulties and struggled for survival at the beginning stages of its history. 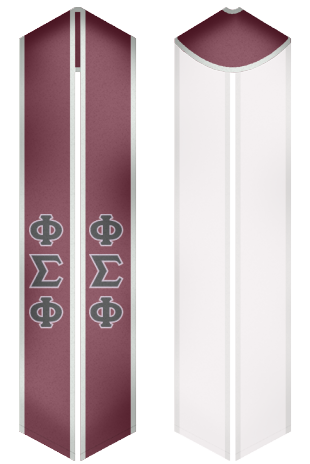 The members of Phi Sigma Phi fraternity are focused on high scholastic and social achievements. The fraternity appreciates students, who do their best to get higher education and have the goal to achieve mental, moral, physical and spiritual growth. 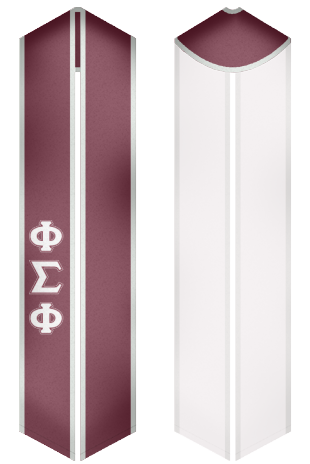 We offer a wide selection of stoles designed for events, which are organized by Phi Sigma Phi fraternity. Choose the best sash for your college graduation day!